For most musicians, getting glowing reviews in magazines such as Rolling Stone and Spin might inflate the ego enough to turn their back on a small gig. "Why should I play for 150 people when Rolling Stone says I'm great?!?" Ten seconds into a chat with Charlotte's Benji Hughes and you can tell that such glowing reviews have had no such effect on him. He's looking forward to playing his Dec. 22 show at Petra's Piano Bar and a Dec. 27 gig at Snug Harbor. It doesn't take much to make the long-haired, bearded optimist happy. "I've been thinking more and more about how it would be fun to play around here more often," Hughes says, sipping on a pint of Stella Artois at Thomas St. Tavern. "Maybe there's a seafood restaurant around here that would give me a good deal on food and drinks and a tip jar. It doesn't sound that bad to me." Not quite the comment you'd expect from a 33-year-old who recently released a double-CD, A Love Extreme, to rave reviews, wrote a jingle for Captain Morgan's and a song for the John C. Reilly mockumentary, Walk Hard, among other accomplishments. He also opened up for Jenny Lewis on a brief European tour. A bit more conversation and you realize it hasn't been an easy road for the singer/songwriter. He had a previous record deal with a band, Muscadine, roughly a decade ago. The first solo album he finished for current label New West Records was shelved. Extreme took nearly three-and-a-half years to complete, while Hughes made regular trips to California working for a publishing company. "It's a pretty complicated story, but I'm glad it's all turned out the way it did," Hughes says. "I could have put out a CD a few years ago, but that's not what happened." Though he originally signed with the label in 2003, Hughes says they were cool with him taking his time to craft what he would be happy with in the end. As for the idea of a double-CD -- "There's nothing 'extreme' about one CD." He currently maintains a band in North Carolina -- David Kim (drums), Peter Gray (guitar), Stacey Leazer (bass) and Jon Phillips (keys) -- and one in California to make it easier to perform depending on where he is. Hughes has hopes his unreleased first effort will see the light of day at some point. "It's a totally different vibe -- piano and double-bass and some light drums," he says. "It'll be interesting to hear because it's been many years since it was recorded." As for Extreme, if you read the online reviews it's a love-it (mostly) or hate-it affair. Twenty-five tracks of laid-back vocals over just-as-relaxed music -- keyboards, drums, guitar -- soaked in themes of loves lost or desired. Hughes just hopes you'll like it. "The whole point of music is to, as far as I'm concerned, is to make something that people enjoy," he says. "It's really kind of funny to see the negative reviews. It makes me wonder, when people lash out, if I used to date the guy's girlfriend or I snubbed some chick at a rest stop ... it's a trip. I like it when people dig it. Maybe there's some kind of Swedish metal band that ... no, they probably want you to like their music, too." Hughes says hearing his music on a television show or in a movie will "never get old." Sometimes he's not even aware it's happening until a royalty check shows up in the mail. "It's like winning -- if you get a song in a movie or a jingle, you're competing against a lot of people for something specific," he says. "If someone chooses your music, that's rewarding because someone wants to attach your music to their art." He's also quick to point out that with all the success comes plenty of rejections. "You have to be willing to hear people go, 'no,'" Hughes says of his songwriting efforts for the publication company. "You can work really hard on projects for a long time and it takes ... how long does it take someone to say, 'no'? I'm sure I've had the ultimate loser musician moment in the past, but I like to focus on the good stuff." As for his next album, Hughes says he's given it some thought, but has no plans to start working on it yet. His only desire is to work with Extreme co-writer Keefus Ciancia again. For now, he just wants more time for this album to soak into the system. He also doesn't have the energy to jump in a van and play some mid-western state for seven people. "If you're 22-years old and you're in a band with a bunch of 22-year-olds, that's a lot easier to hop in a van and roll around for three months. I would totally be into something sweet that made sense, but old-school playing for four people in the middle of the country ... not cool. Everybody has to do that, and I've done that, but not now. I'm 33." 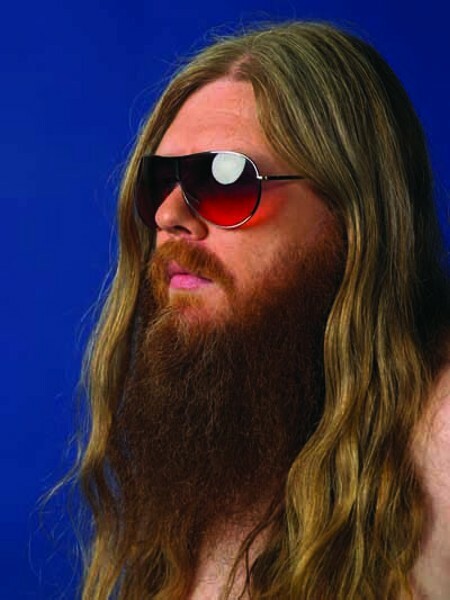 Benji Hughes will perform at 11 p.m. at Snug Harbor on Dec. 27. Alternative Champs share the bill. Tickets are $10.